Description: Practice Nurses play an important and pivotal role in healthcare providing a range of interventions and services to patients in General Practice and Primary Care settings. While most Practice Nurses work in GP surgeries and doctor led clinics, others are working as autonomous practitioners in community practices and nurse led centres. Practice Nurses are presented with an ever increasing range of conditions and patient needs as the role is constantly changing and evolving. The extended roles and range of clinical skills which may be provided by a Practice Nurse depend on the needs of the patient and the qualifications, skills, competencies and scope of practice of each individual Practice Nurse (NMBI, 2015). Practice Nurses have a responsibility to ensure that they are suitably qualified, skilled and competent in carrying out each clinical procedure and intervention that they undertake. Developing guidelines for clinical practice is an important part of the Practice Nurse role, but the task of researching, developing and producing guidelines is time-consuming, and it can be difficult to find the information required as and when needed. 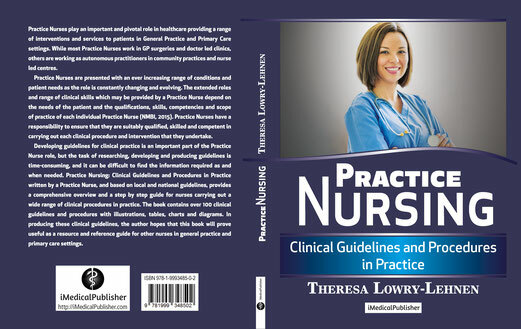 Practice Nursing: Clinical Guidelines and Procedures in Practice written by a Practice Nurse, and based on local and national guidelines, provides a comprehensive overview and a step by step guide for nurses carrying out a wide range of clinical procedures in practice. 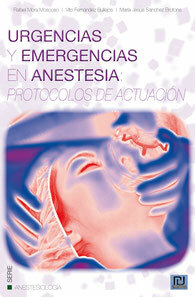 The book contains over 100 clinical guidelines and procedures with illustrations, tables, charts and diagrams. In producing these clinical guidelines, the author hopes that this book will prove useful as a resource and reference guide for other nurses in general practice and primary care settings. Description: La lesión traumática cerebral es una de las mayores causas de mortalidad e invalidez en la población mundial. El neurotrauma tiene un impacto mayor en la sociedad con grandes implicaciones económicas. 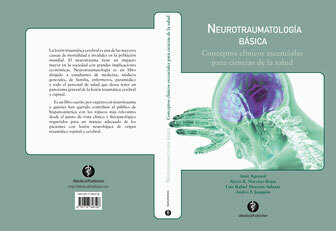 Neurotraumatología es un libro dirigido a estudiantes de medicina, médicos generales, de familia, enfermeros, paramédico y todo el personal de salud que desea tener un panorama general de la lesión traumática cerebral y espinal. 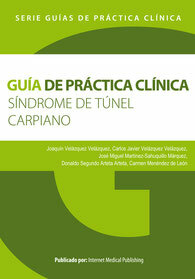 Es un libro escrito por expertos en neurotrauma y quienes han querido contribuir al público de hispanoamerica con los tópicos más relevantes desde el punto de vista clínico y fisiopatológico requeridos para un manejo adecuado de los pacientes con lesión neurológica de origen traumático espinal y cerebral. Description: In view of the growing prevalence of AD worldwide, there is an urgent need for the development of better diagnostic tools and more effective therapeutic interventions. Indeed, much work in this field has been done during last decades. As such, a major goal of current clinical research in AD is to improve early detection of disease and presymptomatic detection of neuronal dysfunction, concurrently with the development of better tools to assess disease progression in this group of disorders. All these putative correlates are commonly referred to as AD-related biomarkers. The ideal biomarker should be easy to quantify and measure, reproducible, not subject to wide variation in the general population and unaffected by comorbid factors. For evaluation of therapies, a biomarker needs to change linearly with disease progression and closely correlate with established clinico-pathological parameters of the disease. There is growing evidence that the use of biomarkers will increase our ability to better indentify the underlying biology of AD, especially in its early stages. These biomarkers will improve the detection of the patients suitable for research studies and drug trials, and they will contribute to a better management of the disease in the clinical practice. Indeed, much work in this field has been done during last decades. The vast number of important applications, combined with the untamed diversity of already identified biomarkers, show that there is a pressing need to structure the research made on AD biomarkers into a solid, comprehensive and easy to use tool to de deployed in clinical settings. To date there are few publications compiling results on this topic. That is why when I was asked to address this task I accepted inmediately. 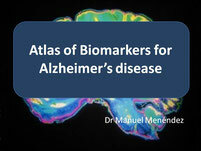 I am happy to present you a bundle of the best articles published about biomarkers for Alzheimer’s disease in recent times. 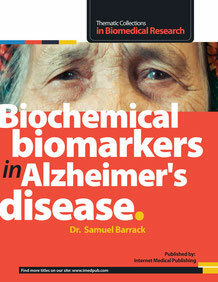 Description: A lot of research on biomarkers for Alzheimer is being done in the last few decades. 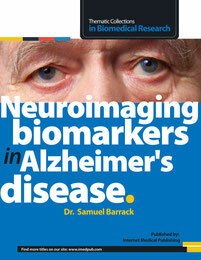 The aim of these studies is to find some method to ease the diagnosis of Alzheimers as early as possible. Such methods are a range of blood or CSF tests on one hand and several types of neuroimaging scans on the other. Many of the images coming both from laboratory and neuroimaging are very visual and illustrative. These images, accompanied by a short description, can perfectly explain the main results and usefulness of every biomarker. 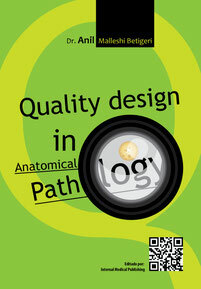 The objective of this book would be to summarize the most important studies made in this field. Few publications have systematically compiled results on this topic and only one as an atlas. Readers would be interested in this publication because it allows reviewing the current status of research by handily visualizing the results. Description: Lipid profile as such sounds so simple but the simple measurement of lipid profile in subjects gives massive information about the progression of diseases and still many things about lipids yet to be unveiled. Daily new concepts are coined based on the ongoing researches. 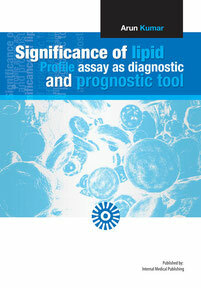 This book encompasses the diagnostic and prognostic importance of lipid profile assay. Here the author establishes the importance of lipid assay and it covers some of the research based on lipids in Normolipidemic AMI patients, AIDS patients and also multicenter studies. It was once believed that if one is Normolipidemic than the risk of AMI is lowered but the trends of Hyperlipidemia always associated with AMI have changed. 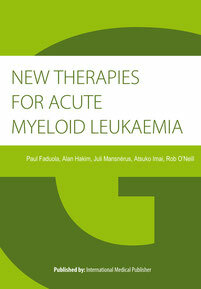 In this book the author shares his experience working with Normolipidemic AMI patients. The research is based on stratification of risk factors in these patients, where the author approaches to elucidate the various risk factors associated with Normolipidemic AMI patients. This book would create an awareness amongst commoners and individuals who considers themselves safe if their lipid profiles are well within normal reference range. The author discusses various risk factors which must be incorporated in routine investigations along with lipid profile as it correlates better about the prognosis of coronary artery disease. The author also shares his experience about these risk variables and the take away home message from this study emphasizes on determination of other risk variables associated with the silent killer. It should be mandatory to analyze these risk variables in appropriate time so that the heavy cost burdened by the patients in Intensive Coronary Care Unit (ICCU) could be minimized. The subjects can also lead a healthy life style if heart attack is averted much before just by some few more investigations. 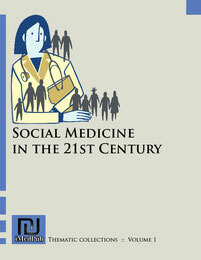 Description: PLoS Medicine’s October 2006 issue contained a special collection of eleven magazine articles and five research papers devoted entirely to social medicine. The collection featured many of the leaders in the field, including Paul Farmer, Arthur Kleinman, David Satcher, Nancy Scheper-Hughes, Dorothy Porter, and Leon Eisenberg. The Kaiser Family Foundation has conducted interviews with two of the authors of papers in this collection, David Satcher and Paul Farmer. 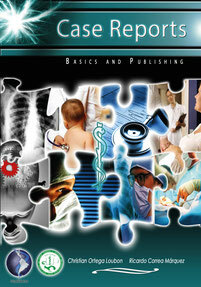 Now iMedPub brings this collection to you within a book. system policies and procedures at the department level would appear to be the logical approach in the right direction, precision & accuracy may not be easy to achieve due to various factors. While there can be no doubt that the data provided by practitioners of anatomic pathology is highly relevant and valuable to the practice of evidence based medicine in the clinical arena one would do well to keep in mind that the knowledge base in this speciality is predominantly observational; which can create a butterfly effect in clinical outcome. Clinical practitioners play an essential role in error reduction through several avenues such as effective test ordering, providing accurate and pertinent clinical information, procuring high-quality specimens, providing timely follow-up on test results, effectively communicating on potentially discrepant diagnoses, and advocating second opinions on the pathology diagnosis in specific situations. This is indeed the right time to consider a re-look into the functioning of our anatomic pathology departments; Multidisciplinary approach is ideal way forward in analyzing our final Diagnosis. Description: Point of care testing (POCT) is a new concept in laboratory medicine that is widely used at present. 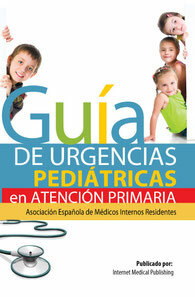 It is the new advent that helps ease medical care in the present day. The knowledge on the POCT medicine is very important and necessary for the general practitioner. 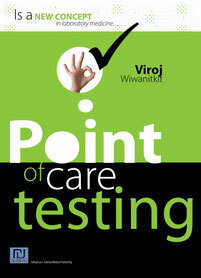 In this specific book, the author summarizes, presents and discusses on the concept of POCT, its importance and examples of important POCT tools. Description: Bacterialdiarrhea due to E. coli that is widely spread in the present year (2011). The problem started in Western countries where the settings are considered to have good hygiene. The infection becomes a widespread problem and very important in the present day. Preparedness and response to outbreaks of this disease that may occur in any country is important concern. Knowledge about the disease, E. coli infection, is interesting thing to realize. 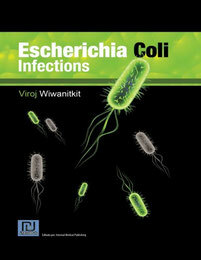 This book was compiled with this disease, E. coli infection, in its entirety. Data on a clinical presentation, diagnosis and treatment are hereby presented. 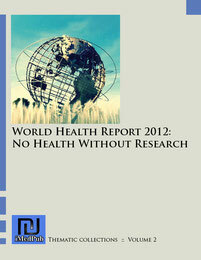 Also issue on disease protection is also offered for interested readers. The concept of food security is also provided as supplementary. This book is suitable for all ages, for those who love and want to distantly draw themselves from this disease. You should not miss to read this book. 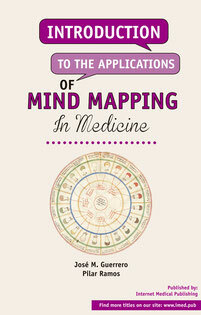 • to understand mind mapping? • a concise introduction to the possible applications of mind mapping in the field of Health Sciences? • to understand the possibilities of mind mapping automation? • more information on the scientific evidence supporting mind mapping? 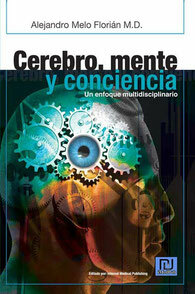 • to have a clear-cut opinion about the quality of a mind mapping article or book you are reading? If your answer to any of the above questions is yes, then this book is for you. It is a simple introduction to the field of mind mapping, and it also provides an overview of advanced techniques that are just beginning to be explored. It does not presuppose any previous knowledge of mind mapping and can be used by nurses, administrative and IT personnel, doctors, researchers and administrators of hospitals and clinics. In a nutshell, it’s for anyone in health-related fields. Description: There is growing evidence that the use of biomarkers will increase our ability to better indentify the underlying biology of AD, especially in its early stages. These biomarkers will improve the detection of the patients suitable for research studies and drug trials, and they will contribute to a better management of the disease in the clinical practice. Indeed, much work in this field has been done during last decades. The vast number of important applications, combined with the untamed diversity of already identified biomarkers, show that there is a pressing need to structure the research made on AD biomarkers into a solid, comprehensive and easy to use tool to de deployed in clinical settings. I am happy to present you a bundle of the best articles published about biomarkers for Alzheimer’s disease in recent times. 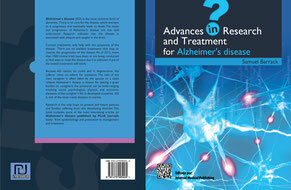 Description: Alzheimer's disease, is the most common form of dementia. There is no cure for the disease, which worsens as it progresses, and eventually leads to death. Research is the only hope to present and future patients and families suffering from this devastating disorder. This book compiles some of the most interesting articles on Alzheimer's disease published lately: from epidemiology and prevention to management and treatment. Descripción: El envejecimiento demográfico de los últimos cincuenta años ha imbuido de un especial interés científico, económico, político y social a la salud de las personas adultas mayores. En este sentido, la comunidad científica ha insistido durante décadas en la necesidad de abordar los problemas de salud de esta población a través de un equipo multidisciplinario. Sin embargo, es raro observar este abordaje en la práctica, dada la dificultad que implica articular el trabajo de profesionistas de distintas disciplinas en el campo de la salud. 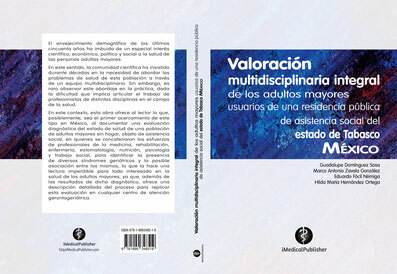 En este contexto, esta obra ofrece al lector lo que, posiblemente, sea el primer acercamiento de este tipo en México, al documentar una evaluación diagnóstica del estado de salud de una población de adultos mayores sin hogar, objeto de asistencia social, en quienes se concatenaron los esfuerzos de profesionales de la medicina, rehabilitación, enfermería, estomatología, nutrición, psicología y trabajo social, para identificar la presencia de diversos síndromes geriátricos y la posible asociación entre los mismos, lo que la hace una lectura imperdible para todo interesado en la salud de los adultos mayores, ya que, además de los resultados de dicho diagnóstico, ofrece una descripción detallada del proceso para replicar esta evaluación en cualquier centro de atención gerontogeriátrica.ste libro condensa las patologías más prevalentes otorrinolaringológicas que afectan a la población pediátrica. Es de fácil lectura y resulta un manual muy práctico para la consulta diaria. Está ilustrado con protocolos y diagramas que ayudan, en un golpe de vista, a resolver las dudas más frecuentes que pueden aparecer. 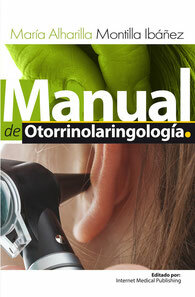 Este manual ha conseguido una visión multidisciplinar de la otorrinolaringología pediátrica contando con la colaboración de pediatras, otorrinolaringólogos, oftalmólogos y logopedas. Está destinado tanto para otorrinos, pediatras o médicos de familia que atiendan a pacientes pediátricos así como para residentes de estas especialidades. Descripción: La lectura del libro es amena, sencilla, sin renunciar en ningún momento a la rigurosidad científica, lo que hace de él un instrumento muy útil para tener ideas claras. Este concepto “ideas claras” en mi experiencia profesional, ya de viejo, es algo fundamental para la buena práctica de la profesión y con ello, el beneficio para el paciente. Colaboran en él, especialistas procedentes de diferentes áreas de la medicina relacionadas con la Otorrinolaringología, unos en formación, otros ya consagrados, en un cóctel que se bebe con facilidad, deja un buen sabor al paladar y ganas de más. Descripción: "Casos clínicos: semiología y publicación" es un libro que proporciona la base teórica para escribir un caso clínico adecuadamente pero lo más importante es que te ayudará a generar un artículo para publicarlo en una revista y presentarlo en congresos científicos. 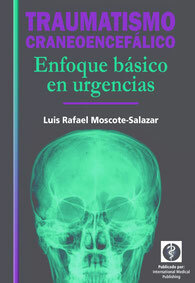 Este es un libro que todo estudiante de medicina y médico joven debe leer ya que guía al lector de una manera metodológica a adentrarse en el fantástico mundo de la clínica y la ciencia. 5,0 de 5 estrellas You have to read it! Amazing book, everyone that wants to publish a case should read this book. It give you details of all the process. 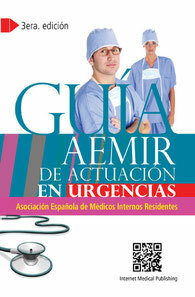 I know some spanish and I get to practice it and learn with this book. It's fun to read and very instructive. I like the examples it has. Two thumbs up! Descripción: La Organización Mundial de la Salud, señala que la salud es el “estado de bienestar físico, psicológico y social del individuo y de la colectividad”. En este sentido, la salud pública es entendida como “la disciplina encargada de la protección de la salud de la población humana, a través de la prevención y control de enfermedades y discapacidades”. Esto hace que esta disciplina sea sumamente amplia en abordajes teóricos, perspectivas disciplinares, intereses temáticos y metodologías, lo que conlleva que su estudio, necesariamente se lleve a cabo a través del abordaje de temas o tópicos selectos. 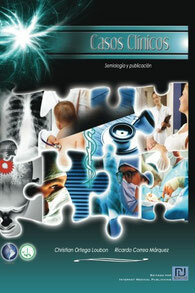 Así pues, a través de la metodología de scoping review, en esta obra se presenta una serie de temas selectos de salud pública: competencias profesionales en personal directivo de unidades médicas, prevención del cáncer de mama, consumo de edulcorantes artificiales, salud mental en indígenas, masculinidad, homosexualidad, paternidad y uso racional de medicamentos para el tratamiento de enfermedades no transmisibles; todos desde la perspectiva de la atención primaria a la salud. Esto, con el objetivo de describir, de forma sintética para el lector, el conocimiento científico existente sobre cada uno de ellos, y exponer a el mismo las lagunas identificadas en él, como una invitación a iniciar u orientar las líneas de investigación correspondientes para llenarlas. Descripción: El síndrome de túnel carpiano es una patología muy frecuente que conlleva una elevada repercusión laboral. 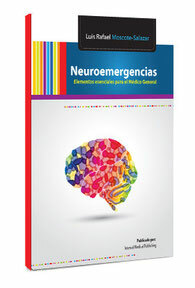 Su diagnóstico es clínico y puede ser apoyado por estudios neurofisiológicos. Aunque puede afrontarse con tratamiento no quirúrgico, el destechamiento del retináculo flexor es el gold estándar. La cirugía puede realizarse bajo anestesia local pura, bloqueos regionales, o asistida por sedación. Además, puede desarrollarse de forma abierta o endoscópica, según preferencias y hábitos. Aunque se trata de una técnica segura, no está exenta de recurrencias y complicaciones, habitualmente por liberación incompleta, iatrogenia o diagnóstico erróneo. Pese a todo, el tratamiento quirúrgico resulta casi siempre en satisfacción del paciente. Descripción: La diabetes mellitus tipo 2 es una patología que padecen millones de personas en el mundo. Para su prevención deben realizarse intervenciones sobre la dieta y el estilo de vida que deben mantenerse cuando sea preciso iniciar tratamiento con antidiabéticos orales o insulina. 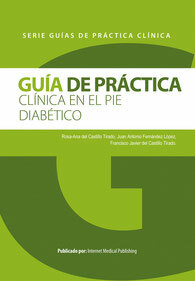 Para el manejo de esta enfermedad es importante la detección precoz de las complicaciones tardías de esta enfermedad (retinopatía, nefropatía, macro y microangiopatía, neuropatía somática y autonómica, pie diabético), promover la educación diabetológica y de autocontrol a los pacientes. Descripción: El manejo prehospitalario y en el ámbito intrahospitalario del paciente con politrauma y especialmente neurotraumatizado es un tópico reciente de investigación en las neurociencias clínicas. El conocimiento de la fisiopatología de la hipertensión intracraneal y cómo múltiples estrategias de prevención pueden conducir a la resolución del edema cerebral, son elementos vitales que deben ser de conocimiento por todo el personal que maneja pacientes en unidades de emergencia y en unidades de cuidados intensivos. 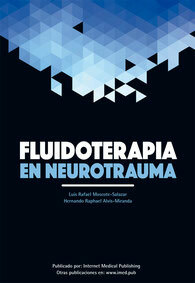 Fluidoterapia en neurotrauma, ha sido el producto de la madurez y la revisión de múltiples publicaciones internacionales; del diálogo con colegas intensivistas y neurocirujanos, quienes nos han manifestado la importancia de un texto sencillo que haga alusión al manejo de líquidos en paciente con neurotrauma. 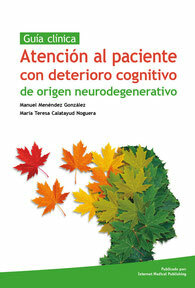 Presentamos este práctico texto, que contribuirá a una mejor interpretación de la utilidad de los líquidos y soluciones parenterales utilizadas en el paciente con neurotrauma y neurocrítico. Este es un aporte a la fluidoterapia, la cual es un área con un interés creciente en la comunidad médica internacional. Descripción: El cerebro es una unidad funcional que trabaja todo el tiempo en forma eficiente en su totalidad en una vertiente sincrónica, es decir como totalidad en un momento dado aquí y ahora y en una vertiente diacrónica, es decir, en su desarrollo unitario a lo largo del tiempo; es todo un inefable mecanismo integrado por partes destinada a la coordinación de los instintos y la afectividad, de la conciencia reflexiva y la inteligencia cognitiva y emocional, de la comprensión y el juicio, de lo internalizado como pasado guardado en la memoria, de lo prospectivo o futuro, del sentido moral y la religiosidad hasta la tragedia abismal de la enfermedad mental. Descripción: La lesión traumática cerebral es un problema importante en todo el mundo. Representa por lo menos la mitad de las muertes relacionadas con trauma e impacta en elevados costos para los sistemas de salud, para el soporte de tratamiento y rehabilitación del paciente. En los Estados Unidos de América los costos se estiman en billones de dólares anuales, ya sean estos directos o indirectos, por pérdida de la productividad laboral. Los equipos modernos de respuesta a trauma, las nuevas ayudas diagnósticas, los centros neuroquirúrgicos y el tratamiento de cuidado intensivo han contribuido a la disminución de las tasas de mortalidad para los pacientes con lesión traumática cerebral, donde las series disponibles en la literatura reportan mortalidad de 35-42%, especialmente en individuos de entre 15 a 25 años. A pesar de estas ventajas eficaces, hay muchos aspectos en que se debe mejorar con respecto al manejo de la lesión traumática cerebral. 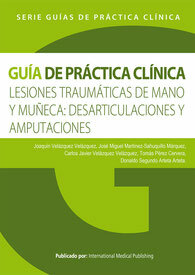 Este libro presenta de manera introductoria aspectos básicos del trauma craneoncefálico. Descripción: El síndrome compartimental es una patología grave, en la que el diagnóstico y tratamiento precoces juegan un papel crucial. Su diagnóstico es clínico y puede ser apoyado por la medida de la presión intracompartimental. La fasciotomía de urgencia seguida del cierre diferido continúa siendo el tratamiento por excelencia. 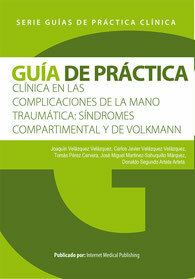 En caso de demora o inefectividad terapéutica, el síndrome compartimental puede degenerar en una contractura isquémica o síndrome de Volkmann, provocando secuelas con contracturas irreversibles que pueden ser tratadas mediante neurolisis, trasposiciones musculotendinosas o transferencias musculares libres. En cualquier caso, la prevención es la medida más importante de cara a los síndromes compartimental y de Volkmann. 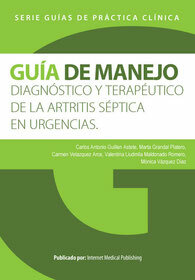 Descripción: La reanimación postquirúrgica de nuestros pacientes está en continua evolución, de ahí la importancia del desarrollo de este manual para facilitarnos la práctica diaria y el mejor funcionamiento de nuestras unidades. El objetivo principal es facilitar y aumentar la flexibilidad en las posibles consultas a través de algoritmos de actuación claros y sencillos. 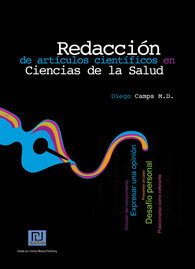 Descripción: Este libro fue escrito para jóvenes investigadores y profesionales que se inician en la redacción de artículos científicos, y necesitan una guía y un apoyo para llegar a buen puerto. A través de sus diferentes capítulos brinda las recomendaciones para escribir adecuadamente un artículo. Descripción: En las últimas décadas las definiciones nosológicas se han clarificado para una gran multitud de procesos mórbidos. Este ejercicio clarificador permite identificar con mayor precisión, y con carácter universal para los clínicos de cualquier parte del mundo, la definición de caso. La unificación de criterios tiene multitud de ventajas tanto para la práctica clínica habitual como para la inclusión de pacientes en ensayos clínicos. No obstante, los criterios diagnósticos también exigen al médico conocer, primero su existencia, y luego su contenido. Obviamente tratar de memorizar los criterios diagnósticos de muchas enfermedades resulta tarea ardua. 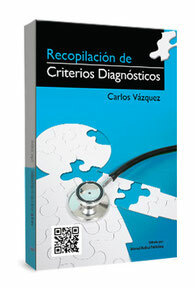 Por ello, hemos creído interesante desarrollar este libro en el que me he encargado de recopilar los criterios diagnósticos de uso más frecuente.Cualquier médico se beneficiará de este libro, pues incluye criterios relativos a enfermedades de todos los sistemas y especialidades clínicas; con especial incidencia en enfermedades sistémicas, cardiovasculares, endocrinológicas, neurológicas, del aparato digestivo y del aparato respiratorio. En la versión para eBooks los títulos de los capítulos están enlazados a la entrada correspondiente del blog, para que si se desea se pueda consultar fácilmente la versión online y ver, por ejemplo, si existen actualizaciones de dichos criterios. Descripción: No es la seguridad, el dinero ni el amor. Es la salud la preocupación número 1 de la población, en todas las clases sociales. A nadie escapa que los medios de comunicación, desde los más tradicionales a los más modernos, responden a éste interés, y no siempre cuentan con periodistas preparados. Para los profesionales de la salud, la comunicación masiva es también cada vez más valiosa, aunque ninguna universidad los prepara para responder a esta demanda. Esta doble necesidad, de periodistas que consigan entender la información médica, y de médicos que deban comunicarse con el público a través de los medios, es mayor ahora en la que se vive la revolución tecno-cultural más importante de la historia de la atención sanitaria. El poder que da el conocimiento está siendo socavado, y se comprueba porque el viejo paciente fue reemplazado por el usuario de la medicina, que busca la información en Internet, la contrasta con la que recibe de su médico y, la discute abiertamente con sus redes sociales. Con el avance de las tecnologías, los desafíos para el comunicador sólo aumentan. Se estima que para el 2015 habrá más personas accediendo a la red por sus dispositivos móviles que por la PC, y la industria está sedienta de productores de información médica de calidad que sean capaces de crear contenidos masivos pero a la vez personalizados. Están los médicos preparados para esta situación? Lo están los comunicadores que intermedian en la difusión del conocimiento? La respuesta es claramente no. Por eso el libro tiene dos destinatarios. Por un lado, periodistas y estudiantes de periodismo, que quieran escribir y editar temas de salud y calidad de vida con máximo rigor científico y de una manera clara y atractiva. Al mismo tiempo, se dirige a los profesionales de la salud que interactúan con la prensa o pretenden hacerlo, o producen contenidos de forma independiente, y buscan pautas para llegar mejor a sus destinatarios. Las fuentes de las que se nutren estas páginas son muchas y variadas. 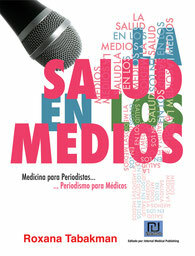 Provienen, en primer lugar, de la lectura crítica de lo que se produce en los distintos medios, y de conversaciones mantenidas por la autora a lo largo de dos décadas de profesión con médicos, periodistas, asesores de prensa, editores, directores de medios, pacientes, ONGs y empresas. Hay también ideas e investigaciones publicadas por centros de prestigio internacional. El panorama se completa con otras miradas enriquecedoras: columnas escritas por expertos líderes de opinión (un médico, dos periodistas, un abogado y un ex Ministro de Salud) que enfocan temas sensibles como la cuestión de la privacidad, la salud global, y las pseudociencias. 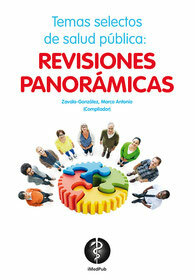 El libro debe ser visto como un manual, para su lectura o consulta permanente. Los aspectos técnicos serán más valorados por unos, los éticos por otros. El objetivo es que en este matrimonio de conveniencia que se ha iniciado entre periodistas y médicos que quieren llegar al mismo público, el comunicador venza el miedo a los tecnicismos, y el científico comprenda mejor el fenómeno de comunicación. Para que la calidad de la información que recibe el ciudadano contribuya de forma adecuada al cuidado de su bien más valioso: la vida. Descripción: El objetivo de esta guía no es otro que ayudar a acotar la incertidumbre que, inherente a nuestro trabajo diario en la consulta, adquiere otra dimensión en la asistencia que es solicitada de forma inmediata y con una carga emocional de angustia que no debemos olvidar. En muchas ocasiones no podremos llegar a un diagnóstico médico “al uso”, no será posible transformar la dolencia en enfermedad, lo que no nos exime de elaborar un plan de actuación adecuado, y es por esto que los títulos de los capítulos de la guía no definen enfermedades. La mayoría de los capítulos están elaborados por residentes de distintos años de medicina de familia, algunos de ellos han sido escritos por pediatras. La supervisión de los contenidos la han hecho pediatras que no solo conocen profundamente las características de la Atención Primaria, por trabajar en nuestro medio, sino que están seriamente implicados en la formación de residentes de su especialidad y de la nuestra. Descripción: La artritis séptica de articulaciones nativas (ASAN) es la urgencia reumatológica del aparato locomotor por excelencia. De su oportuno diagnóstico y tratamiento depende el pronóstico a corto y largo plazo. La ASAN es más frecuente en varones, entre la quinta y sexta décadas de la vida, afecta principalmente articulaciones grandes y su clínica habitual es la de una monoartritis con gran compromiso sistémico. La sospecha diagnóstica debe seguirse del estudio del líquido sinovial, de la instauración de terapia antibiótica intravenosa (IV) y hospitalización. En nuestro medio, el manejo en urgencias de esta patología es heterogéneo existiendo múltiples modelos de abordaje. Actualmente, las guías internacionales de manejo de la ASAN están basadas en escasos ensayos clínicos, múltiples series de casos y en la opinión de expertos. Hemos elaborado la presente guía basados en la información más relevante disponible con el propósito de homogenizar el desenvolvimiento médico diagnóstico y terapéutico de la ASAN tan pronto como el paciente es valorado por primera vez. Descripción: En esta guía de práctica clínica se recoge el abordaje diagnóstico, terapéutico y los procedimientos mínimamente invasivos para el manejo de pacientes con cuerpos extraños en vías aéreas y pacientes con cuerpos extraños en vías digestivas. Cada uno de ellos viene acompañado de un práctico algoritmo de actuación. 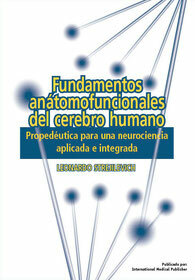 Descripción: Un viaje a través de la historia del conocimiento neurocientífico; así se debe acoger este libro del Dr. Alejandro Melo-Florián. Decía Ortega y Gasset que "el hombre, es el hombre y sus circunstancias". Del mismo modo el autor nos conduce por los paisajes másdiversos de la investigación sobre el sistema nervioso central -precisamente sobre aquellos aspectos que afectan a lo más íntimo del ser humano como tal- y de las circunstancias históricas en que los hitos del conocimiento neurocientífico se han ido produciendo. Con el hálito unificador del humanista poco o nada escapa a su alcance: psicobiología evolucionista, neurobiología del desarrollo, biología celular y biología funcional. Todas estas perspectivas integradas van dando respuesta a la pregunta inicial: ¿cómo funciona el cerebro humano? El libro, generoso en citas célebres, resulta de lectura fácil y amena y conforme uno avanza en este viaje va descubriendo cómo nuevos enfoques son complementarios entre sí para comprender cómo del cerebro se desprenden sus dos principales productos derivados: la mente y la conciencia. Productos que siempre deseamos alcanzar a entender pero con frecuencia se nos escurren entre los dedos de la mano como un puñado de arena. Y es precisamente esta red de conocimientos, esta malla psicoevolutiva, la que nos permite retener una idea más nítida de qué son y qué papel juegan en el hombre mente y conciencia. No puedo evitar recordar aquí una de mis frases favoritas de D. Santiago Ramón y Cajal "Todo hombre puede ser, si se lo propone, escultor de su propio cerebro". Efectivamente el conocimiento neurocientífico nos está abriendo las puertas a la maquinaria que rige el mundo de los pensamientos y la conducta humana. Y una vez dentro, si de veras conseguimos comprender el cerebro, podemos intentar influir, modular -o esculpir- aquellos procesos cuyo funcionamiento no consideremos óptimo. Para ello la clave del éxito está en conocer lo mejor posible las piezas y los mecanismos, cómo se integran y cómo se generan los procesos. Descripción: A lo largo de estas páginas, que configurarán una trama socio-sanitaria por su implicancia, la autora relata un periplo por el que transitan quienes estamos afectados directa e indirectamente por la enfermedad. "No lo adornaré, ni minimizaré como repercute porque estamos hablando de personas que de pronto un día, una enfermedad invadió nuestros proyectos, se coló desviando nuestros objetivos, fines y metas, tergiversando todo a nuestro alrededor". 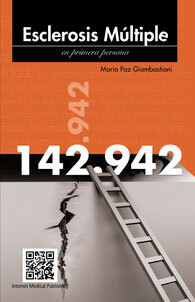 Este libro invita a los lectores a pensar sobre el poder de la vida para abrirse paso a través de la voluntad, la perseverancia y el dolor de distinto tipo que genera la enfermedad a través del día a día.